Southern Loggin’ Times’ August issue spotlights North Carolina’s savvy logging professional Richard Williams, who has been forced by the market to change strategies from running all new equipment to maintaining old equipment, while improving his skidding ability in steep, wet ground with the addition of Eco-Tracks. 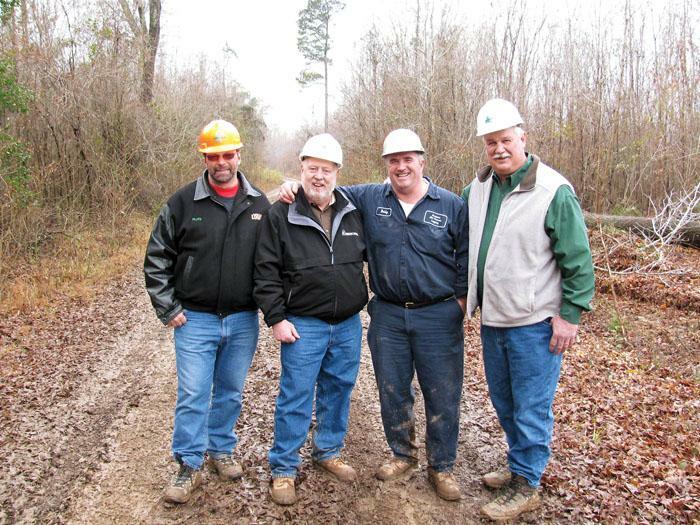 Also featured are Arkansas’ Dale Proctor Logging, where an ice storm cleanup opened the door of opportunity for the enterprising young logger Dale Proctor, and Virginia’s Ernie Harris and David Harsh, who are preserving early chain saw heritage. 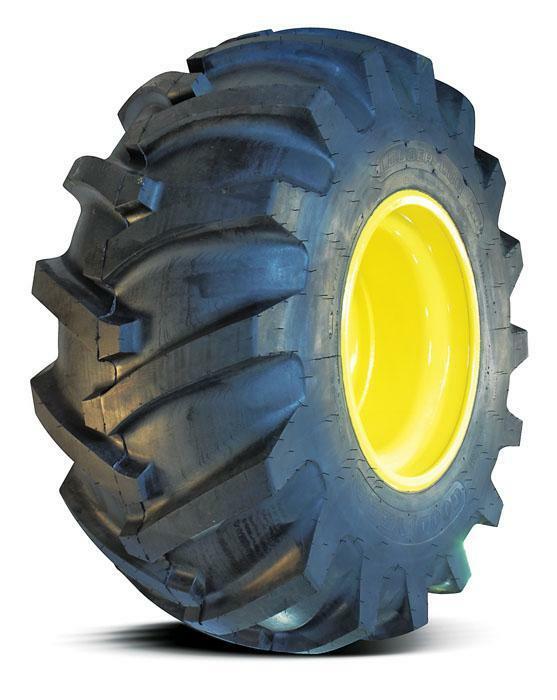 An article highlights what you need to know about off-road tires, as tire durability and performance are essential to productivity in the woods. 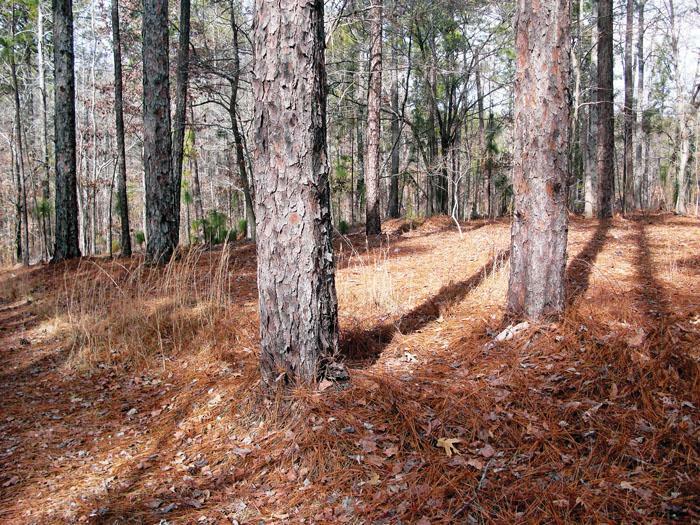 Continue reading Longleaf Pine: A History of Man and a Forest. Have you ever noticed opportunity often hides behind storm clouds, then blooms in the wake of the storm? 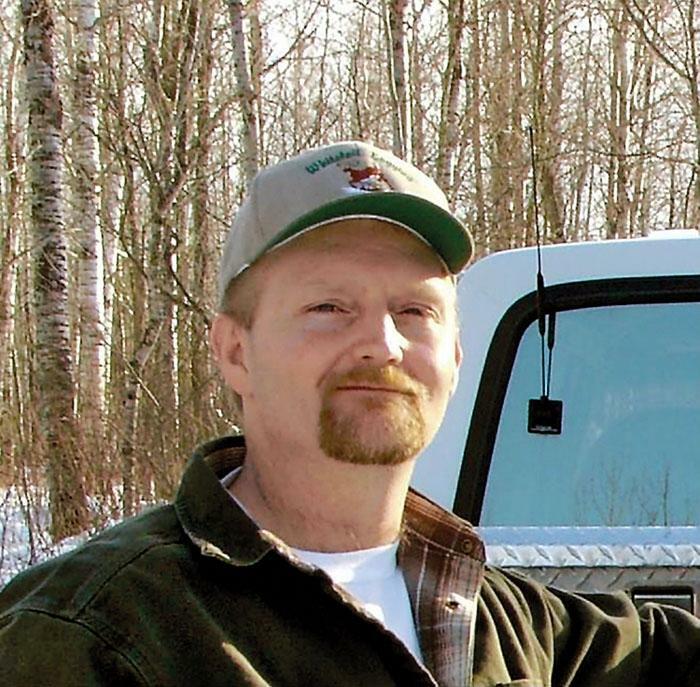 Such was the case for Dale Proctor, who first started out offering contract skidder services until he was able to set up his own crew and establish DPL Inc. in 1996. He was 21 at the time. Four years later during the week of Christmas, massive, back-to-back ice storms glazed the state and left in its wake large swaths of broken and damaged timber. With the beginning of World War II, I returned to South Carolina to work for a few months in the land of the longleaf pine. As district forester I was located at Aiken, located at the edge of the fall line sand hills. Many people, including actor Gary Cooper, came there to enjoy polo and fox hunting. Fox hunters, mounted on spirited horses, galloped through the pineywoods behind their hounds. Those who frequent the woods appreciates a day’s work done well and the feel of a good tool in their hands—even at times looking back at the fond remembrances of some tools that seemed special. A chain saw is more than just a tool, considering that it forges the will of the user with the ability of the machine. 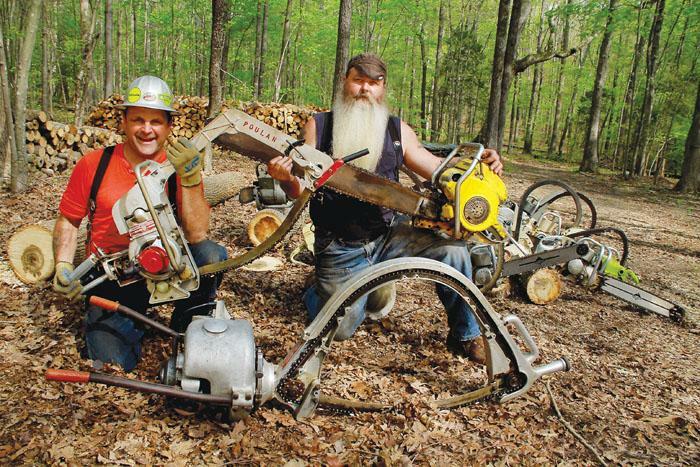 Ernie Harris and David Harsh appreciate chain saws and have chosen to take on the task of preserving some of their history by collecting them. They go deeper by sharing their passion for this history and the American work ethic. 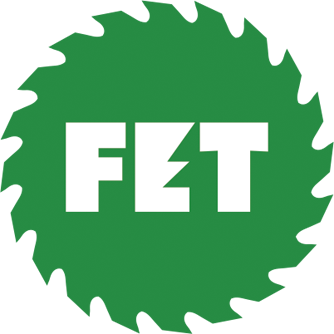 Forestry is one of the most demanding environments for tires, which are an expensive item these days. 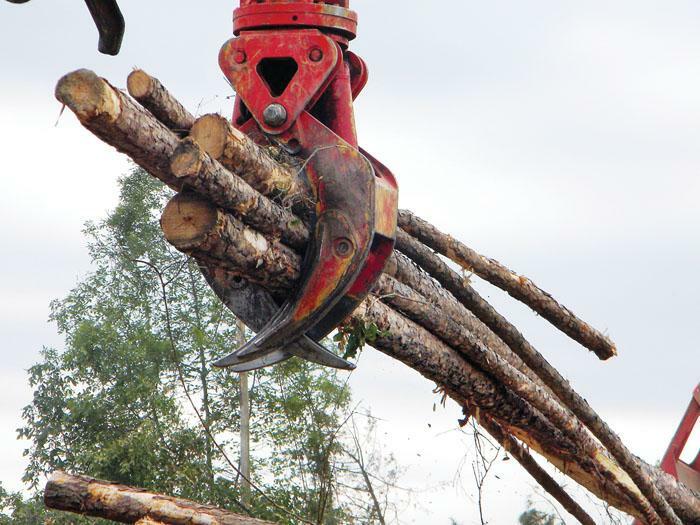 Feller-bunchers and skidders are subject to snags, stumps, logs, rocks, mud and steep slopes, not to mention discarded machines and components lurking under vines or straw-leaf buildup. Tires can greatly impact performance in the forest, but not every setup is ideal for every harvest situation, which is why loggers should consult with their local dealer for the best solution. For me, I guess it started over 20 years ago with the TV show Cops—“real people in real situations,” followed around by a film crew. The attraction to me was that the show was totally unscripted and often took a turn Hollywood would never have imagined. Nowadays, shows depicting the reality of commercial fishing, as in Deadliest Catch; extreme trucking, as in Ice Road Truckers; and law enforcement, as in First 48, are among the most watched reality shows. 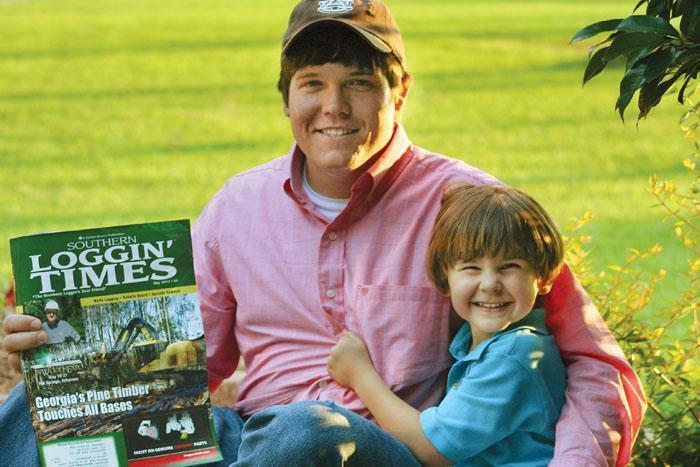 LaGrange, Ga. logger Josh Washington and son, Sam, pause while examining an issue of Southern Loggin’ Times. According to Christy Washington, wife of Josh and mother of Sam, who is five, the two “look forward to each issue and read them together cover to cover.” Washington Bros. Logging was featured in SLT in July 2009. Thanks, Christy, for sharing this photo.